Hello my darlings!! I'm back after a long trip and am slowly but surely getting back into the swing of my regular posting schedule. 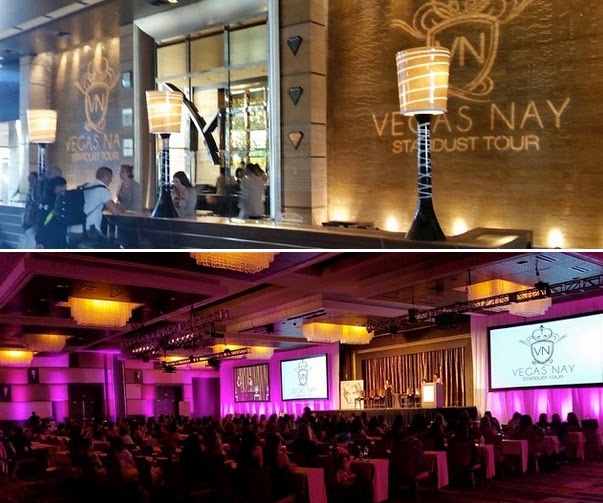 As you may know, Lee and I spent a few days in LA for the NYX Awards and then traveled to Las Vegas for the first ever Vegas Nay Stardust Tour!! Both events were hugely successful and today's post is a detailed photo recap of our Vegas trip and the Stardust Tour where Lee and I participated as featured guests and presenters. Read on for the all the scoop, plus VIDEO RECAP, stage stills, & my outfit / makeup deets!! 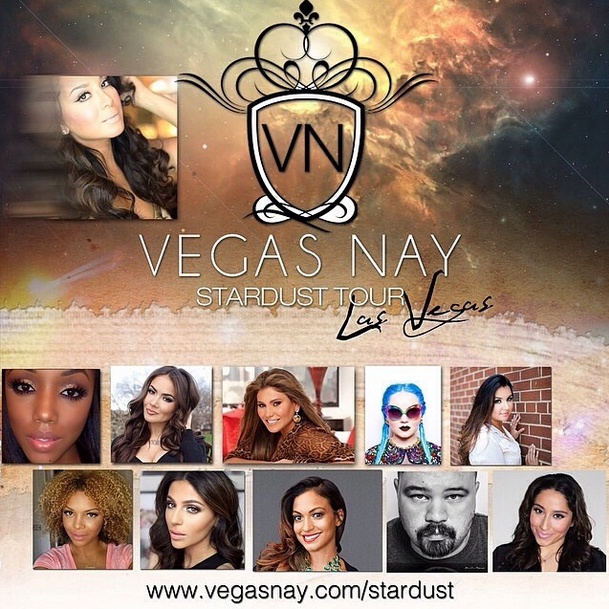 The Stardust Tour is a brand new beauty convention created and envisioned by Naomi and Lee Giannopoulos of "Vegas Nay". 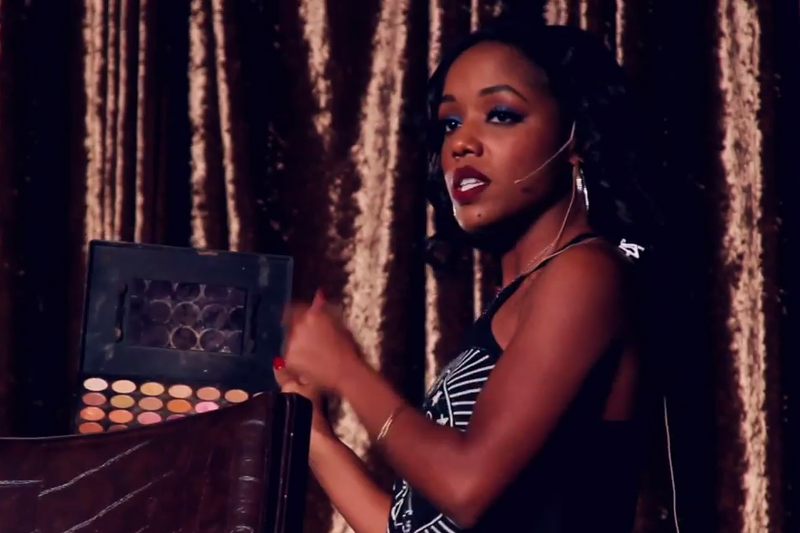 The event comprises of makeup, photography and social media workshops hosted by beauty celebs and industry professionals, catering to beauty enthusiasts and influencers alike. 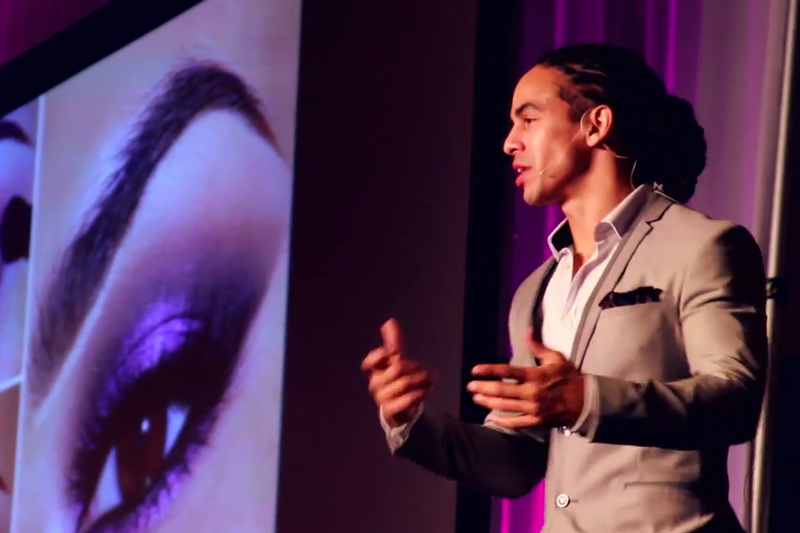 The underlying theme of the Stardust Tour is centered around empowerment, community and interdependence within the makeup industry. 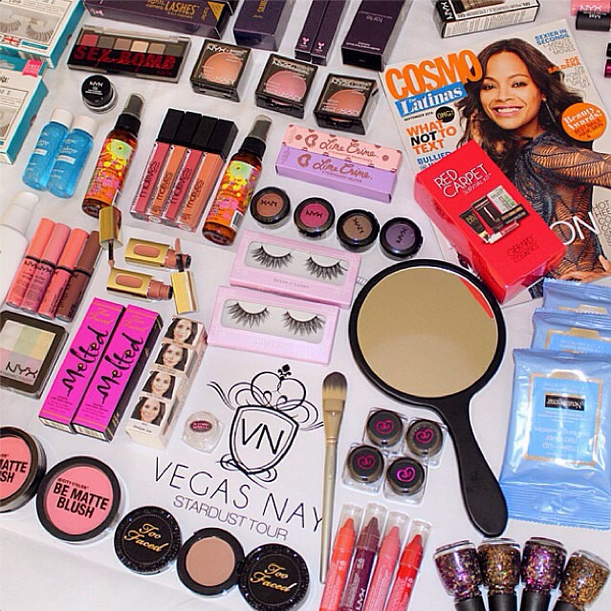 "Vegas Nay" is a beauty blogging sensation with over 2.6 million followers and is the #1 Latina blogger on Instagram. 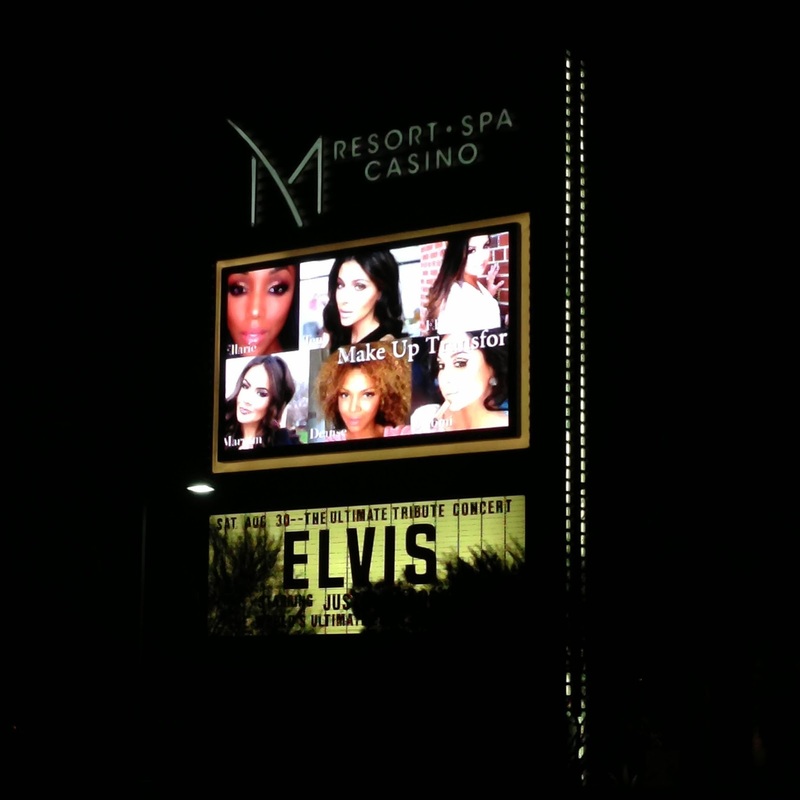 Below is an image of our Live Billboard on Las Vegas Boulevard, which ran a 40 second commercial for the Stardust Tour!! This was my first time seeing my face on a billboard, so I can officially scratch that one off my bucket list!! So happy to be sharing this magical moment with my sisters: Ellarie, Teni, Ely, Denise and Naomi (pictured below), as well as Cosmo for Latinas beauty editor & my bestie Milly Almodovar, Lime Crime CEO and my sis Doe Deere, internet marketing mogul & my dear friend Loren Ridinger, celeb makeup artist and the sweetest soul Jackie Gomez, the incredible photographer Israel Marino and my amazing partner Lee!! The above photos and collage were taken on our first day in Vegas as we hit up Nars at Caesars Palace in preparation for the Stardust Tour. 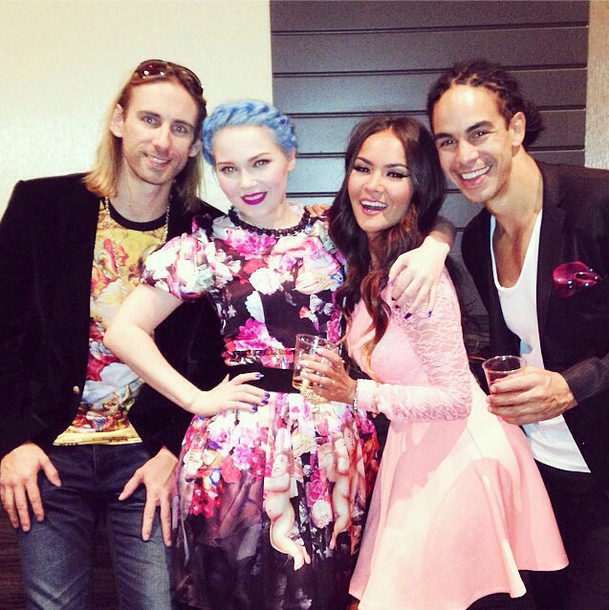 I'm wearing my "Barbie OOTD", appropriately named by Naomi. My lace top is from Nasty Gal, linen cigarette pants are from Asos and the heels are by Sophia Webster. Our Friday and Saturday consisted of meeting models, stuffing goody bags, assisting in last minute prep and an all-day rehearsal on Saturday. Below is my first stage outfit for the EVENT: my top is from Zara, pants are Asos and heels are Pour La Victoire. I am pleased to say that the Stardust Tour was one of the most amazing beauty events I had the pleasure of participating in. 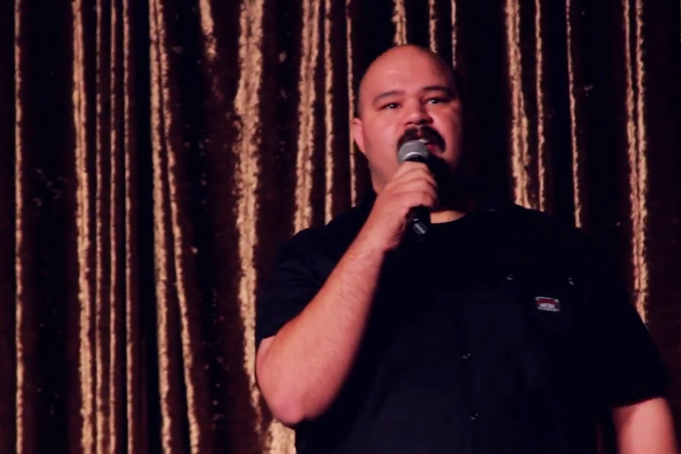 Sharing the stage with some of the most notable names in the industry was incredibly humbling and inspiring. The guests in attendance were super enthusiastic and their positive energy filled the ballroom making this event even grander than we anticipated. The launch of the Stardust Tour 2014 was an incredibly successful one and we couldn't feel more grateful!! 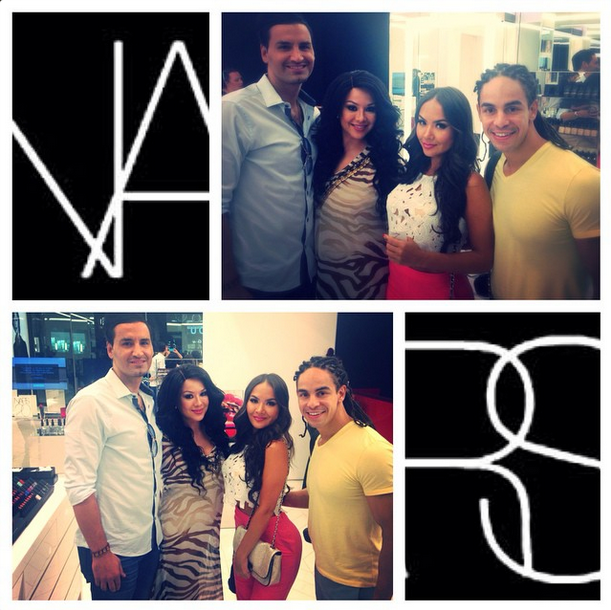 With our beautiful host, beauty editor of Cosmo for Latinas and my bestie Milly Almodovar!! The amazing Vegas Nay working her magic! 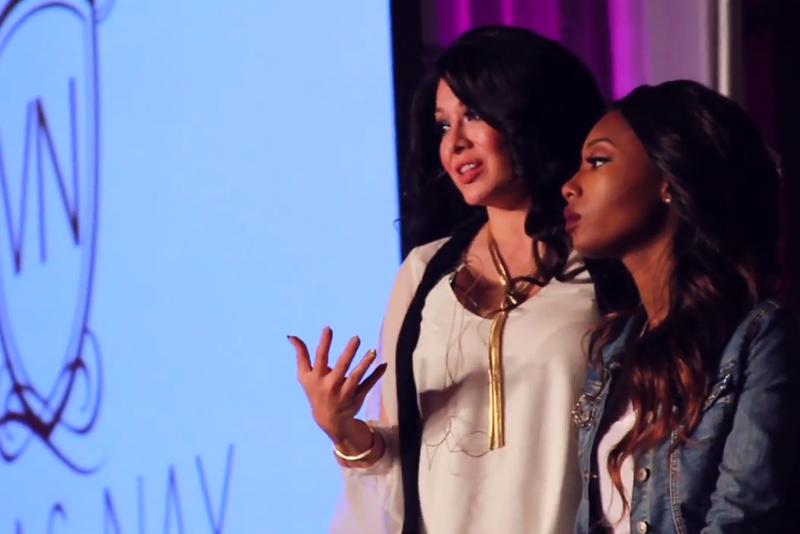 YouTube star and my girl Teni Panosian, discussing YouTube and Social Media strategies with Lee and Jackie Gomez, celeb MUA and Beyonce's personal makeup artist. Happy guests receiving their goody bags and the contents below!! Join us all at the next one!! !